TORU YAMAGUCHI SENSEI 8th Dan J.K.A. Tai Sabaki - 'The Art of Evasion' By John Cheetham. The Passing of A Master: Sensei Satoshi Miyazaki 7th Dan JKA. TRADITIONAL SHOTOKAN KARATE DO THE COMMON BOND By Rick Brewer. In the late '50's, a young U.S. serviceman stationed in post-war Japan, bloodied, cracked, calloused knuckles on the makiwara, blasted lunge punches barefoot down an old cinder airstrip, and anchored his stance to the icy floor of his sensei's unheated dojo. Of over fifty Americans, only one would emerge from the rigorous Shotokan class to attain Dan certification from Master Naka, a senior instructor of the Hokaido region. He would later pass on to his students the undaunted determination which is hammered into the human spirit by enduring the challenges, pain and sweat of the traditional Japanese dojo. Like many, he couldn't have comprehended the future worldwide impact of Shotokan Karate-do. The Central States Shotokan began humbly, under the auspices of the Japan Karate Association, over a quarter of a century ago. In his fledgling dojo, Sensei John Donahue, taught us with relentless enthusiasm the traditional karate-do he had experienced in Japan. All too soon, we became painfully aware of the burden of our classmate's mass, hoisted upon our shoulders, during stance training. We knew the sting of the shinai on our backsides if, for even the slightest instant, we would dare appear to yield to some weakness of will. In kumite, with sensei looming behind somewhere with his plastic bat, retreat seemed certainly a much more fearful alternative than charging headlong into the attack of a more skilled opponent. In those days, even mouthguards were considered optional equipment! From that perspective, 'bobbing and weaving' to score a match point seemed rather irrelevant. Sensei's idea of the perfect marriage of Eastern and Western cultures was akin to a blend of 'ikken hisatsu' and 'damn the torpedoes'! When occasionally criticised for not training his students for the latest tournament trends, his reply was usually an abrupt and un-apologetic, "Guilty!" So much for the good ol' days. Our instructor did the 'unthinkable' in the early '70's. He left the JKA to pursue karate-do within a strictly traditional format, but in an atmosphere of political freedom so characteristic of our American heritage. For me, as his senior student, the future seemed teeming with new challenges, duties and responsibilities. Before continuing, I feel the need to define 'Traditional Karate' from our perspective. After all, how can Americans, who left one of the world's largest karate organisations twenty years ago, have the audacity to claim they teach Traditional Shotokan karate-do? By definition, traditional means long-established customs, beliefs, practices, or conventions handed down from generation to generation which have the effect of becoming unwritten law. Today's sincere karate student has inherited the rich legacy of Master Funakoshi and his peers who dared share their art with the public. High ideals, goals, strong spirit and respect for those rules of conduct, which have been handed down through generations of great masters since the origin of this beautiful art, define Traditional Karate-do. Karate-do has the power to transcend national ego's and political organisations. No political organisation can take sole credit for its invention and improvement. Worldwide, the wealth of deeply sincere people bonded in the common spirit of cultivating human potential through karate-do is overwhelmingly inspirational ! From the beginning, we have strived to maintain political neutrality, objectivity, and administrative independence. Our 'official policy' is friendship and open-mindedness towards other traditional karate people, regardless of their organisational affiliations. We encourage our students to participate in clinics taught by many of the world's finest instructors such as Masters Ozawa, Nishiyama, Mikami, Kanazawa and many, many others. Any time we can support events which may benefit our student's growth, we make every effort to do so, regardless of political affiliations. One sometimes hears instructors order or threaten their students not to support 'this guy' or 'that guy'.This often results from insecure feelings, grudges, or sometimes an over-inflated ego which assumes others cannot make valid contributions to karate-do. Of course, I'm not saying instructors shouldn't advise students on their choices of training experiences, but we must be on guard to do so for honourable reasons. So much can be learned from so many talented, dedicated karate people without building artificial barriers. Open-minded policies should also be extended to most competitions. Although we don't stress 'sport-karate', our students often do well. We encourage students to learn, be challenged and make new friends at tournaments. (We only discourage participation if we feel our students' safety may be compromised). One of our students' most favourite international events is Master Ozawa's Traditional Karate Tournament in Las Vegas. Our students are in awe, of how so many great karate masters, from so many different countries, styles and organisations, can join together for a weekend of competition, seminars and friendship. By bringing together literally thousands of people who share such a common love of traditional karate-do, Shihan Ozawa's event is truly remarkable. The very foundation of our philosophy is that the daily effort put forth to improve human potential through traditional karate training is of utmost priority. We strongly feel that similarities of intentions, technique, common goals and good-will, far out-weigh political differences. Organisations need people, but people do not necessarily need organisations. Karate-do is truly a common ground for all human beings. One of my students, Ted Quinn, is an example that illustrates the power of Shotokan karate-do to bond people from opposite sides of the world. Quinn competed several years in the All - Japan Championships, as a member of an elite Japanese military team (the only non-Japanese). This might seem unusual enough, but while he was a Central Illinois Shotokan and an American JKA Karate Associations nidan and instructor, he also became a life-time member of the Japan Karate Association, who recently promoted him to sandan in Tokyo! Commitment to traditional karate-do is a tenacious common thread which can join people in harmony and render organisational differences irrelevant. Quinn was officially recognised by his base commander for improving relations between Americans and Japanese through karate. To sum it up Quinn reflects. "After my traditional Shotokan karate training in Central Illinois, I had absolutely no trouble adjusting to the dojo's of Japan". No doubt, karate-do has the capability and virtue to transcend political oceans to bring people together. In keeping with our philosophy, we have, for several years, hosted our annual 'Good Will Seminars'. We have been very fortunate to host many superb American and Japanese Sensei's from a variety of organisations. 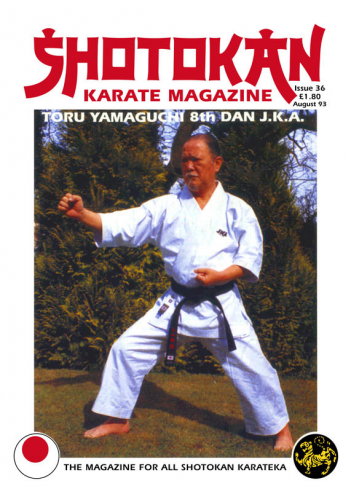 Shotokan Karate International (SKI) Shihan Hirokasu Kanazawa is among our favourites. This extraordinary living legend is one of the most skilled, yet humble, kind and friendly karate masters in the world. Lucky for me, he also has a wonderful sense of humour, too! I picked up Kanazawa Sensei's gym bag and inadvertently ripped off both handles. GULP! Of course, I fell all over myself apologising and half- expected to be abruptly 'dispensed with'. He was highly amused (sigh of relief). For two days, he teased me every time I helped with his luggage saying, "Be careful, don't break!" In spite of his gruelling schedule of travel, he put tremendous effort into each class. Master Kanazawa tried to meet the needs of all levels of students and was especially good with children. Sensei was a very approachable, warm, human being, who more than met everyone's expectations of him as a world class karate leader. There are many superb American senseis. One of our favourite American guest instructors is Mr. Randall G. Hassell. 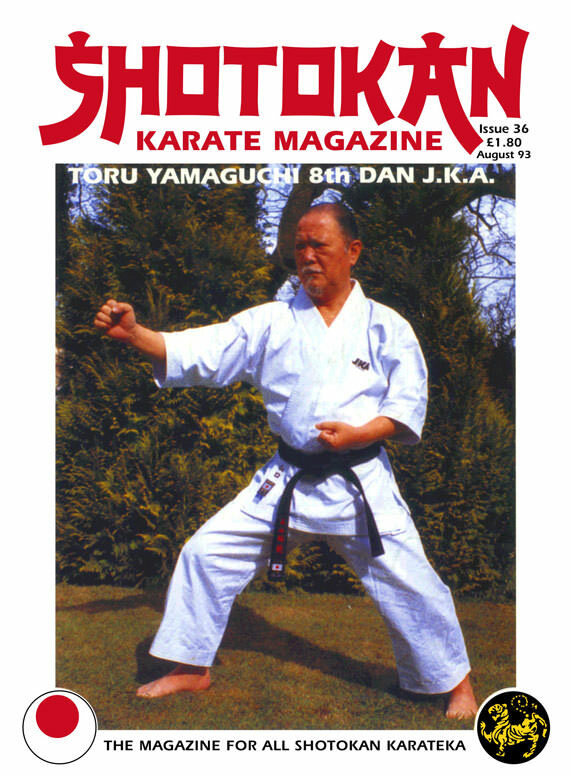 Due to his countless publications, his depth of karate knowledge and his decades of experiences with many of the world's great karate men, his lectures and discussions are informative and colourful. His humour and abounding enthusiasm make his workshops exhilarating. Sensei Hassell demonstrates an extraordinary understanding of Budo, and his obsessive love for the art of karate-do is contagious! 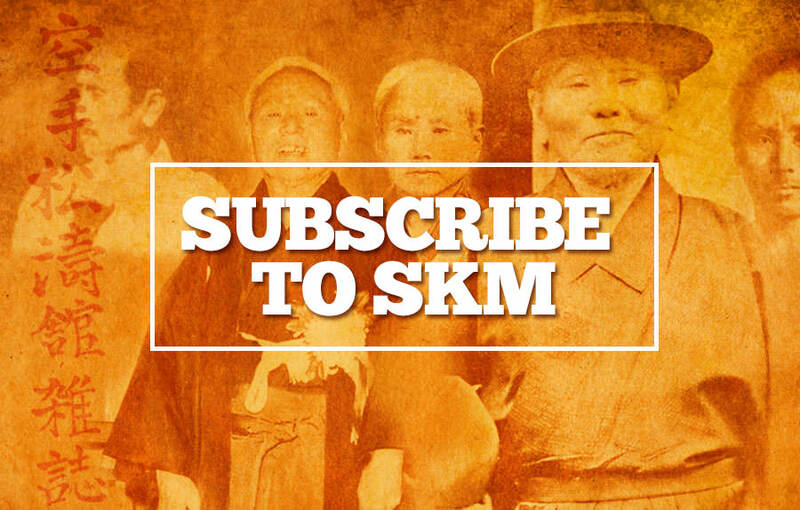 The Central States Shotokan (formerly The Central Illinois Shotokan) has been politically neutral since our instructor chose organisational independence over twenty years ago. We have made every effort to cultivate and maintain long term friendships with other traditional karate people and organisations . We feel a great responsibility to maintain technical, ranking and instructor training standards which are internationally acceptable. Our recent affiliation with the America JKA Karate Associations (AJKA) has allowed us to do so, by giving our students an additional vehicle for further karate study, without political and financial pressure. Several years ago, one of our friends, an SKI club Director, sent me a copy of a newsletter titled "Fu Rin Ka Zan". It seemed a hand of friendship, reaching out to all traditional karate people from Shihan Osamu Ozawa. Since then, our students have had the distinct pleasure of hosting Master Ozawa several times. More than merely clinics, Sensei Ozawa gives fascinating insight into Funakoshi's intentions for spirit and growth of karate-do. Few people we meet on our journey through life, have a profound effect upon the directions we take and the choices we make. Osamu Ozawa is truly one of those extraordinary human beings. Knowing of his strong samurai heritage, that he was a kamikaze pilot (in world war two) who crashed on what was to be his final commitment, that he studied karate under the likes of Masters Mabuni and Funakoshi, one can understand that Shihan Ozawa has literally stood at the threshold of life and death! As a direct disciple of Master Funakoshi, he freely shares experiences, anecdotes and insights into the meaning of traditional karate-do with extraordinary perspective. Our students cherish hours of informal conversations with Shihan Ozawa, in addition to his clinics. Sensei is extremely intelligent, warm, friendly and sincere. However, when he says, "Every time I put on my Gi, I am ready to die," you do not doubt him for a second! He emphatically asserts that Funakoshi Sensei intended for karate-do to bring people together with harmony. Master Ozawa further stresses the critical importance of traditional karate instructors to display leadership, serve others, and work together as friends. He truly teaches by example and works endlessly to bring karate people together. If you are around him for any length of time, you become amazed at his ability to get the 'lions and tigers' of the karate world to co-operate, setting differences aside, being bonded by the common strand of the true spirit and harmony of traditional karate-do. As I understand the texts of Funakoshi Sensei and his contemporaries, creating harmony, sacrificing one's ego, and displaying courtesy and respect for others are uncompromising basics. Organisations will come and go, but the common bond, of the spirit of karate-do, can meet the needs of human survival, peace and friendship for generations to come.